Pipeline Products | R.J. Kates Co. 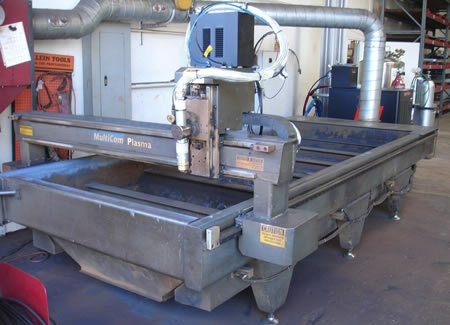 Pipeline Products is a reliable source for quality waterworks tools and custom fabrication services. 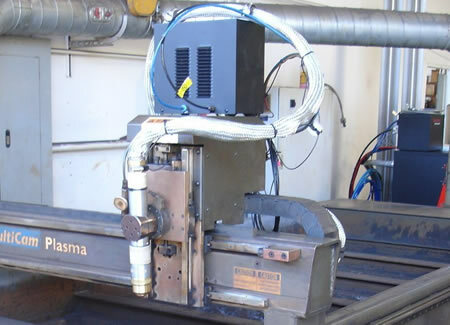 Their fabrication experts have a combined total of over 125 years experience in custom metal fabrication. They are also a licensed fabricator for the City of Los Angeles (#FB0259), compliant with A.R.R.A. “Made In America”, Federal Highway “Buy American” compliant (23CFR 635.410) and small business certified. The following images show an R.J. Kates retro-fit of an existing Multi-Cam cutting machine using new a new Hypertherm HPR260 HD plasma system.